In an op-ed published this week in the Washington Post, Senate Minority Leader Chuck Schumer (D-NY) informed President Trump that in order to receive Democratic support for an infrastructure bill the legislation would have to include policies and funding that "help transition our country to a clean-energy economy and mitigate the risks the United States already faces from climate change." 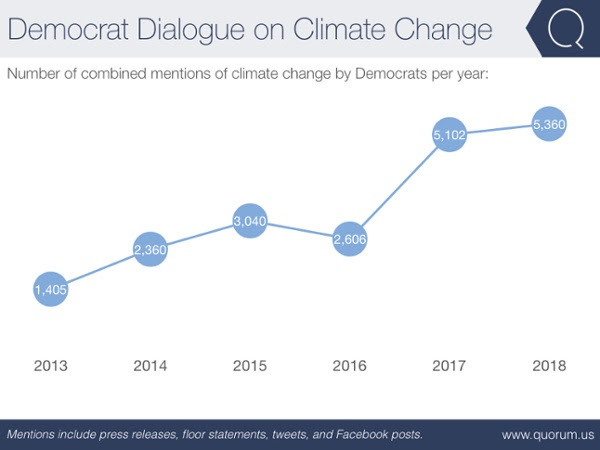 Using Quorum Federal's comprehensive dialogue tracking, we measured every mention of climate change by members of Congress over the past five years in press releases, floor statements, tweets, and Facebook posts. 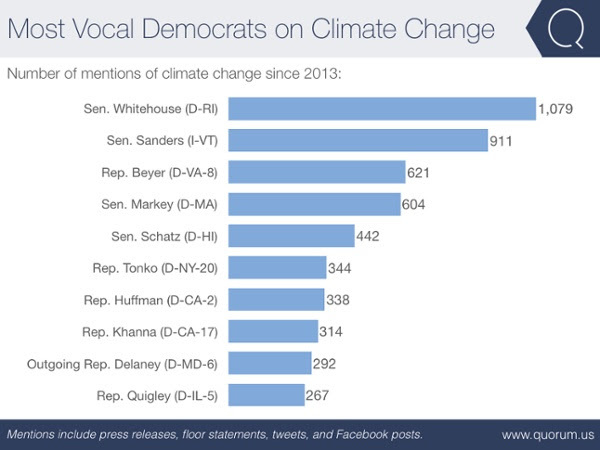 See below for the shift in dialogue over time as well as the top ten most vocal Democrats and Republicans on climate change. 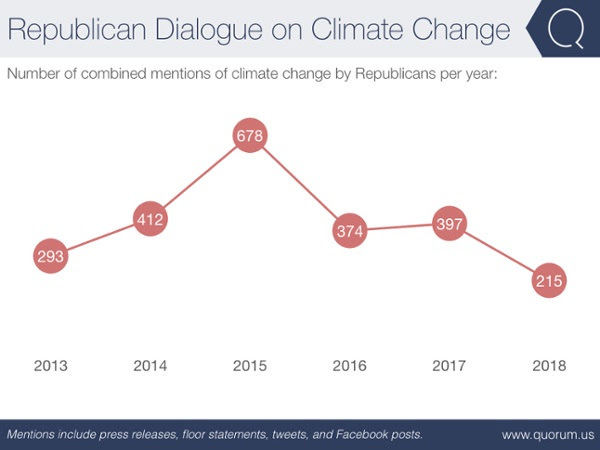 Republican mentions of climate change hits lowest since 2013. Meanwhile, Democrat mentions of climate change hits highest in the past five years. 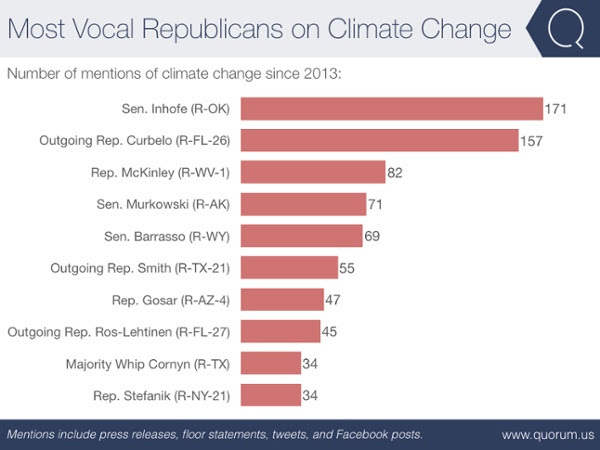 Three of the top ten Republicans who mention climate change the most will not be returning to the 116th Congress. Four of the top five most vocal Democrats on climate change serve in the Senate.